Year: 1955 Item #: 992 Views: 4,550 Comments: No Comments. Using too much oil? Sooner or later every car owner gets worried over oil consumption, and some still imagine they are faced with the expense of a rebore. Don't let this worry you. 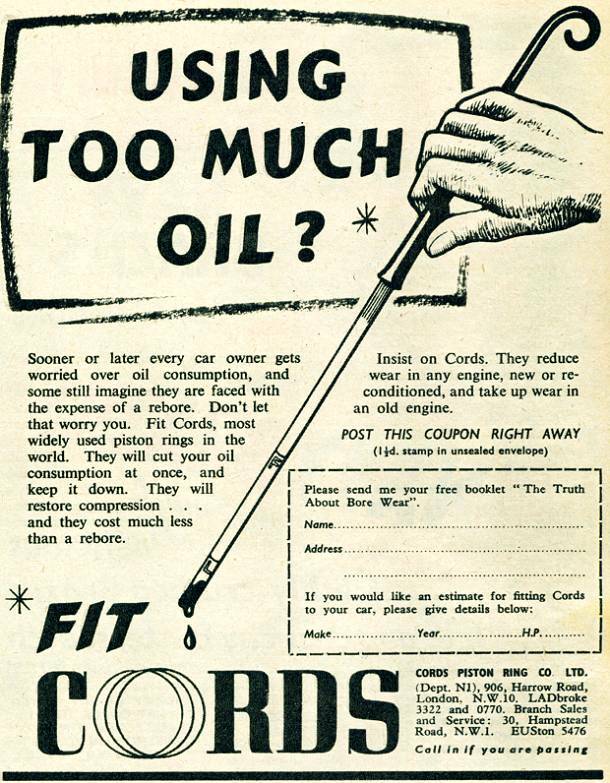 Fit Cords, most widely used piston rings in the world.